The app ecosystem for mobile devices has, for good reasons, been primarily oriented toward consumption of media content. This is particularly true of Apple’s touchscreen-only iPhones and iPads: these elegant portable computers make for a delightful way to peruse content, as evidenced by wildly popular apps like The Elements or Flipboard. Facile access to internet connectivity makes communication-oriented apps very effective, as witnessed by the number of mobile users of clients for social networks like Twitter and Facebook. Content creation, on the other hand, presents a significant challenge. Creating new data of any kind suffers from the inherent clumsiness of the finger-on-screen user interface paradigm, which makes something as simple as writing an email message somewhat of an inconvenience akin to learning how to touchtype all over again. When I founded Molecular Materials Informatics in early 2010, it was evident that the difficulty ranking was: content creation >> communication > consumption, and this was particularly true for chemistry. Sketching a molecular diagram requires specialised software, which is hard enough to build for a conventional desktop PC, but the touchscreen/trackball input devices available for mobile phones penalise chemistry media far more than many other types. Being the kind of person who likes a challenge, and at least minimally savvy enough to appreciate that an unsolved problem in a confluence of active fields represents an opportunity, I laid out my company priorities: deal with the tough issues first, then after that everything will fit into place. This more or less summarises year #1: primarily about content creation, starting with drawing structures. With several apps on the market already, year #2 saw the introduction of many more, with a strong emphasis on content communication. While this had been a priority from the beginning, more emphasis was possible once the content creation features had seen a bit more refinement and polish. Being able to send and receive structures, reactions and datasheets by email is a good starting point for making content useful, but there are so many other ways to make chemical data earn its keep: creating presentation-quality graphics, interacting with webservices and remote procedure calls, passing data back and forth between apps, using the MolSync app to access and manage chemical data on a Dropbox account, and various methods of sharing via social networking sites such as Twitter: this and more is the theme for my upandcoming talk at the American Chemical Society Spring 2012 meeting in San Diego. Year #2 isn’t quite finished yet, but it looks like #3 might just shape up to be the year of content consumption. This is what the graphic at the top of this post is about: it’s a screenshot of a very new app – less than a week old, in fact. It’s a skunkworks project, currently entitled Open Drug Discovery (Dream) Teams, with a working acronym of ODDT. Pronounced Oddity. The idea came from Sean Ekins, who has put out a short teaser on his blog. The idea itself is barely older than the app: perhaps a fortnight, at the time of writing. The idea goes something like this: aggregate data from sources of open access science and organise it into topics, with an initial focus on particularly open-friendly topics, such as research into rare and neglected diseases. 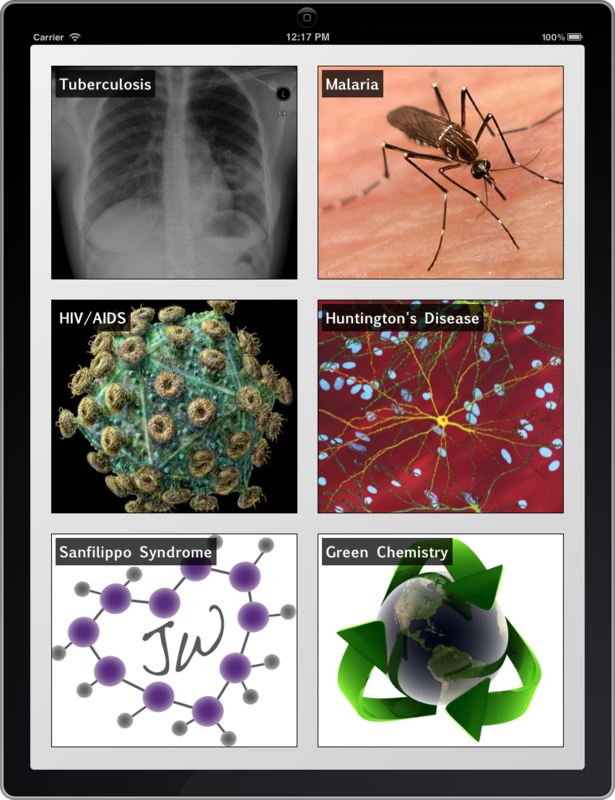 Produce a free client app, with an interface reminiscient of Flipboard, which allows any scientist – or interested member of the public – to browse content on any of the available topics. Seed the topics with data from Twitter, which is a well entrenched and open newsfeed-like source of real time data. Incrementally improve the service so that particular kinds of data within the stream are recognised, e.g. chemical structures, reactions, etc. Subsequently introduce features for active involvement: subscription to topics, and eventually a membership system, allowing people to join online teams, release relevant content directly, and influence the priority and impact of existing content. Maybe even introduce editing capabilities, so participants can openly collaborate on shared documents. Because the central concept of this whole project is openness – publicly available data only need apply – there is a certain logic to developing the technology in the open. Hence this blog post: the project did not even exist as an idea two weeks ago, but since you’ve read this far, you now have some idea of what Sean and I have in mind. Many more articles will follow. And we are very interested to know what you think.